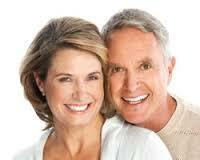 Having your teeth fixed with dental implants in just one day….what a great idea! Even a better marketing angle. I’ve been asked so many times why dental implants take time when they keep hearing and seeing ads for immediate teeth that I know how well the marketing works. To be perfectly fair, the “teeth in a day” protocol does work and many patients have gone through the process successfully. However, there are several caveats that must be considered. First of all, the “teeth” are typically denture teeth which are fixed to a series of 4 to 6 implants in a row. All of the teeth in the dental arch need to be missing or removed for this to work. The implants arranged around the curvature of the arch is what allows for the “loading” of the immediate restoration. The idea of saving any teeth in the span is not possible. In addition to removing all of the teeth, several millimeters of bone and gum tissues need to be removed to create “restorative” space. Secondly, the bone around the teeth needs to be healthy and free of infection. Placing implants into infected areas invites a risk of implant failure. Now, some of us are already scratching our heads wondering why would anyone want to remove perfectly good teeth that are not infected. Once again to be fair, I am a dentist and have been placing and restoring dental implants for the past fifteen years. I believe that dental implantology is one of the greatest advances in dentistry of our time. That being said, I think there is nothing better than real teeth. Saving whatever we can, within practical considerations, is our first goal. It is true that dentures are awful! Food tastes and feels foreign, speech is difficult and the feeling of physical decline is oppressive. A full arch of implants holding on to a dental bridge is a bit better. Natural teeth, even a few in the arch, if that’s all that is feasible, is the best. One reason is that teeth have ligaments that hold them into the bone. Within this ligament space lies proprioceptive nerve endings. Unlike the sensation of hot and cold, these nerves send signals to the brain regarding pressure. It is part of how we interpret what food feels like. They help us determine how hard we need to bite when we are eating. Does a hot dog feel any different a good fillet? You bet it does. Implants offer absolutely no proprioceptive feedback. Some people have not had much luck in taking care of their natural teeth. Implants may seem like a good way to escape from the hassle. Actually, they still need attention. Each implant needs to be cleaned around the tissue where it emerges, just like teeth. When there is a bridge or denture permanently attached to them, care and time needs to be taken to get underneath and do a thorough job. Loosing a dental implant under a complicated bridge can be an expensive complication. Dr Olson and I believe in the proper and timely replacement of hopeless teeth to maintain proper force and load distribution within the arches. We also believe in the preservation of bone and healthy teeth wherever and whenever possible. Finally, we believe in creating restorations on dental implants that look, feel and function like natural teeth in keeping with our years cosmetic dental practice. Look to our future blogs where we will be discussing the pros and cons of immediate placement and restoration of implants for single tooth considerations.